MBBS program in English medium started since 2004. The program lasts 6 years, including 1 year internship. All teachers have abroad study or working experience and rich teaching experience. 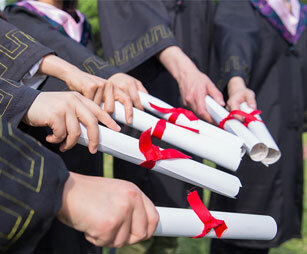 The goal of training is enable the students to have solid knowledge of basic medicine, normative clinical skills, excellent professional quality, and be able to have a medical practice under the guidance of superior doctor; can constantly improve their knowledge and skills, have basic Chinese language communication ability, have a glimpse of Chinese culture. One of 30 universities which were authorized to conduct MBBS program in 2007. The degree is recognized by WHO. Most popular MBBS programs, nearly 1000 students have graduated from this program. The graduates of MBBS program can take the Medical Licensing Examinations held by the medical councils in different countries such as USMLE, MCI, PMDC, HPCSA, SCHS etc. The applicant should be between 18-25 years old, mental and physical healthy, has solid financial support, has completed the senior high school course with good marks, satisfied with the following marks requirement. Chemistry, physics, biology, English are compulsory subjects, maths is a reference subject.